Yadav, who is quite vocal in his admiration for Dhoni, said he feels lucky to play alongside the iconic keeper-batsman, who led India to two world titles. 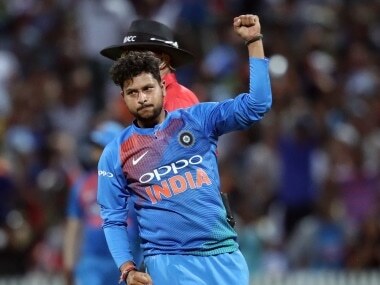 New Delhi: Indian spinner Kuldeep Yadav says MS Dhoni's understanding of match situations beats that of the bowlers and the former captain's presence behind the stumps makes his job easy. "He always guides us bowlers, whenever he feels the need to get his message across he does it. When the wicketkeeper supports you like that, it becomes easier for the bowler," Yadav was quoted as saying by India Today's YouTube channel 'Sports Tak'. "A lot of times, the bowler is not able to understand the situation but the wicketkeeper understands it better. Mahi bhai is just like that. "He has so much experience. He tells gives us small details and even when he doesn't, I make sure to ask him for guidance. Chahal and I feel very lucky to be playing with him. Bowling becomes easier with Mahi bhai behind the stumps," he added. Speaking on India's chances at the World Cup in England, starting May 30, Yadav said the 2011 champions are in with a great opportunity but he also expects teams like England and Pakistan to do well. "We definitely have the chance to bring the World Cup home. But I feel England has a strong batting line-up as compared to the other teams. They will be playing in home conditions. "I think Pakistan will also perform well in the World Cup looking at the way they have been performing. So I think England and Pakistan will be the ones to watch out for," Yadav said. The left-arm spinner also lauded India's pace attack. 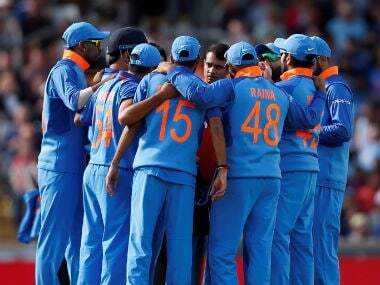 "We have a very good combination of bowlers in the side now. We train together and back each other which is the biggest plus point," Yadav said. On current captain Virat Kohli, Yadav said, "Virat bhai always backs us. He understands our bowling styles be it spinners or fast bowlers. He is a very attacking captain. "It feels good as a spinner because then we get to take wickets regularly. He supports not only me and Chahal but all the other youngsters in the team," he added.